The invoice seen here is from the United States Trademark Registration Office. Even though that sounds like an official government agency, and even though the invoice looks official, at least at first glance, it is not. In fact, the United States Trademark Registration Office (USTRO) has nothing to do with the government, the address listed is a virtual office in Los Angeles where there is no staff, and there’s no phone number or email on the invoice to contact. And the services that they offer are, at best, things that could be accomplished easily and for far less money than the USTRO charges, or, at worst, completely unnecessary and a waste of money entirely. Trademark attorneys should take heed, because there are a multitude of mailings just like the one above floating around the mail service, which, by their design, appear as if they have been sent by a legitimate government enterprise. The actual government entity that handles trademark registration, the United States Patent & Trademark Office (USPTO), is starting to take notice, and have issued warnings urging any consumers who have received any such deceptive mailings to contact the Federal Trade Commission or the USPTO itself. Nevertheless, trademark attorneys should warn their clients in advance to watch out for any suspicious invoices and not to pay any fees for trademark-related services without their attorneys’ assent. So what services do these companies offer and are they actually legitimate? The company responsible for the invoice above offers to record marks with U.S. Customs and Border Protection, so that Customs can monitor imported goods and prevent entry of infringing goods into the country. While this may be a legitimate service, the actual recordation fee is $190, not the $375 charged by USTRO, and can be done directly through the Customs agency. The U.S. Patent & Trademark Office has come down on USTRO and has received assurance that, as of March 12, 2012, the company has ceased sending solicitations under the USTRO name. Another company, USA Trademark Enterprises, Inc., offers to publish newly-registered marks in a promotional catalog, and charges consumers $960 for inclusion. The catalog, however, seems to have little to no value because registered trademark are similarly published by the USPTO and the information is freely available. Similar to the USTRO solicitation, the USA Trademark Enterprises, Inc. solicitation resembles an official government document and is likely to deceive consumers into believing it is official. Other more international examples include the Worldwide Database of Trademarks and Patents and the Register of International Patents and Trademarks. The legal community has struck back at a handful of these companies. For example, in 2009, the Florida Attorney General filed a lawsuit against Federated Institute for Patent and Trademark Registry because hundreds of victims had sent payments to the company mistakenly believing that they were being legitimately billed for services relating to their recent trademark or patent registrations. A Florida judge ruled that the company had violated the state’s Deceptive and Unfair Trade Practices Act and the Attorney General sought full restitution for all victims. Most recently, Leason Ellis LLP, a White Plains, New York intellectual property law firm, filed a lawsuit in federal district court in the Southern District of New York against USA Trademark Enterprises, Inc. Acting pro se, the firm claimed, among other things, unfair competition, false advertising, deceptive acts and practices, and tortious interference. The case is currently pending. The solicitations, however, seem to be becoming more resilient and making every attempt to stay one step ahead of the law. Most solicitations have language stating, “This is not a bill. This is a solicitation,” somewhere on the document in order to avoid liability under most federal or state nonmailable matter statutes. Nevertheless, the USPTO urges consumers to be vigilant to avoid unnecessary payments because while they contain such language, they still appear very official and without reading carefully the average consumer could assume its validity. One intellectual property attorney, Erik M. Pelton, a former USPTO Examiner, believes that the USPTO is not doing enough to protect consumers from these deceptive solicitations, and has started an online petition urging the USPTO to investigate issues of false advertising, impersonating a government agency, or charging money for services of no value, to create additional warning and educational content, and to take other actions to limit damage. Although some steps are in place to protect consumers, this deception is still happening. Trademark applicants and attorneys should keep an eye out for possible deceptive solicitations and alert the proper authorities. 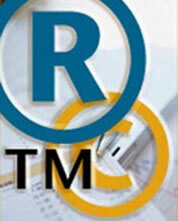 Careful reading and happy trademarking!